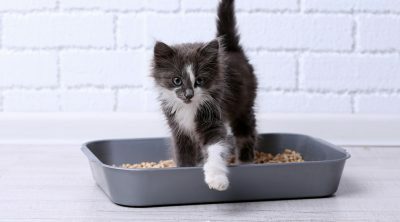 Cats are independent little fur balls, which means that they tend to come and go as they please. Even if you have an indoor kitty, there is a good chance that he or she has made a break for it, at least once. So, getting your furry buddy a cat collar is practically a necessity. The thing is, though, not all cat collars work equally as well. To make sure that your kitty is safe and comfortable, you need to choose the best cat collar. Considering that all collars look alike, however, this can be easier said than done. Perhaps one of the most important elements of any cat collar is comfort. After all, if the collar is made from a hard or unyielding material, your kitty is going to be in a lot of pain. This is why one of the first things that you should consider is the fabric that is used. Typically, collars made from any kind of gentle fabric are best. Nevertheless, soft leather and materials with similar texture should work just as well. When selecting the fabric, you should take your cat’s sensitivities into consideration. There are some kitties that are allergic to materials such as nylon and other synthetic fabrics. 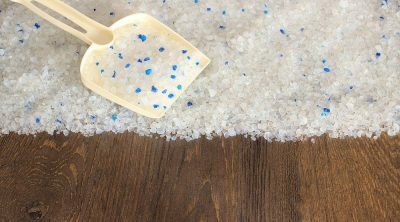 So, you may want to avoid these if you aren’t entirely certain how your cat will react to it. It is also important for cat collars to fit your kitty incredibly well. Essentially, they need to be well-fitted so that they don’t slip off. At the same time, these collars need to be loose enough so that they don’t cut into your cat’s fur. To ensure both of these things, you should look for collars with excellent adjustability. You should be able to fix the collar so that it fits around your kitty’s neck perfectly. Since your cat is going to be struggling quite a bit, it is best to look for collars that are simple to adjust. Still, once the collars are adjusted, they will need to remain in this position. It is unwise to get a collar that your kitty can re-size or wriggle out of by him or herself. If you have an outdoor kitty, then you may want to consider a breakaway collar for him or her. These are often seen as a safer option, particularly for cats that are likely to get stuck in fences or branches. As the name suggests, breakaway collars can be broken (by your cat) if he or she gets caught in something. Due to this feature, there is a much less chance that your cat will hurt themselves when out on a jaunt. Not to mention, even if they do get tangled up in something, you can be sure that they can free themselves and make their way back home. 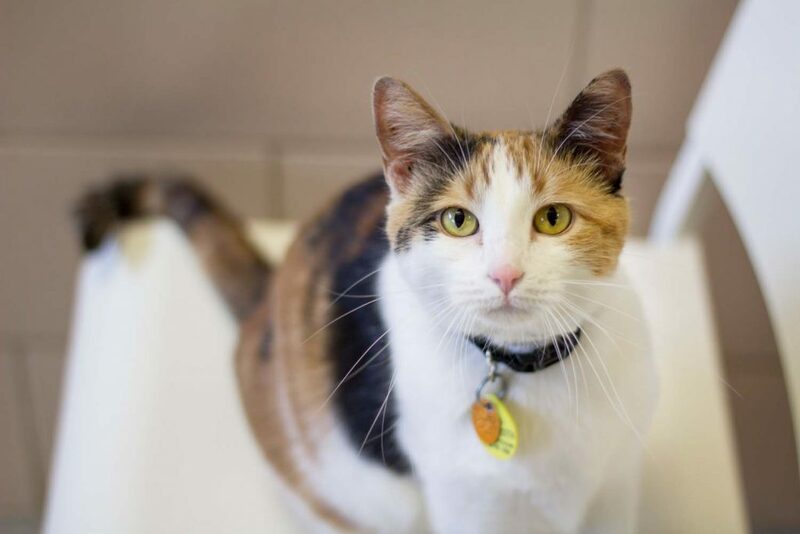 Most pet parents use collars to help identify their kitty. 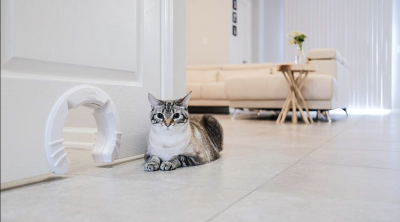 The collar lets everyone know that your cat has a home and that he or shouldn’t be picked up or carted away. In this case, though, you should pick a collar that can be easily seen, even at a distance. If you want, you can also go the extra mile and pick a collar that has glow-in-the-dark features. These make your kitty more visible at night and can come in handy in making sure that motorists are able to see them in the dark. Last but not least, the collars need to be durable as well. For one thing, there is a good chance that the collar will be rubbing up against all sorts of abrasive surfaces. For another, your kitty may scratch at it as well. So, if you want the collar to last, it is going to need to be pretty durable. If you want a collar that is as cute as it is functional, then this is definitely the collar for you and your kitty! It has a plaid design and is complete with a bow and a little bell. You can guarantee that your little fur ball is going to look adorable in this collar. At the same time, there is no denying that this collar is made from durable cotton material. As such, you can be sure that it is going to last you quite a while, even with all of the adventures that your kitty may go on. Now, this durability does create a slight disadvantage, though. The collar can be a little stiff in the beginning but should soften up after a while. Nevertheless, the collar is quite adjustable and can be adjusted from 7.8 to 10.2 inches. This means that it should fit most cats, regardless of their size or age. Not to mention, the collar can be adjusted easily so that putting it on your cat will be no trouble at all. The final advantage with this collar is that it comes equipped with a breakaway feature. 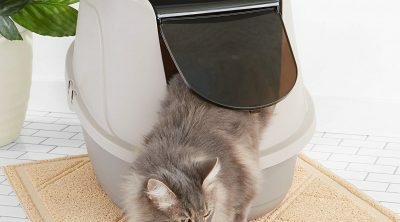 So, your kitty will be able to easily get out of it if he or she should find themselves stuck. Thus, it is incredibly safe as well. 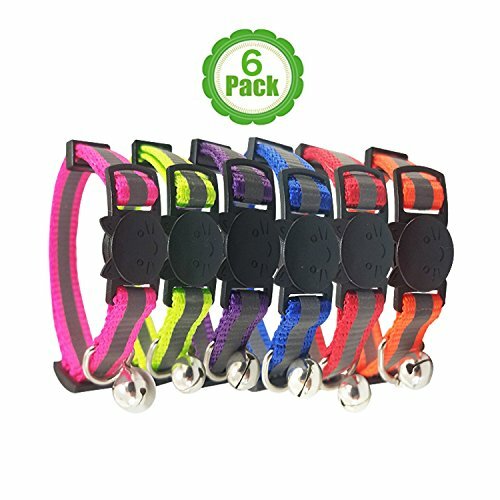 If you want several color options to choose from, then these collars will certainly serve you well. There are lots of different shades, making it a great option if you have multiple kitties in your household. You will be able to find distinct ones for each one. Speaking of distinct, these cat collars are reflective and will glow at night. so, if you have a kitty that likes to wander around, this collar will definitely come in handy. Even at night, all motorists and cyclists will be able to see your cat without any issue at all. What’s more, this cat collar is a breakaway one. So, if your cat were to get caught in something, it would simply take a few tugs for them to get free and come home. At the same time, due to the clasp, it is unlikely that your cat will be able to remove this collar by themselves. Now, this collar is adjustable and is suitable for kitties who fit into a range between 7 and 11 inches. As you can see, this is quite a variable size, ensuring that your kitty will have no problem comfortably fitting into one. The only real problem with this collar is that the threads may loosen if it is scratched at. This is the perfect cat collar for anyone who is looking to dress up their kitty. It is a truly gorgeous collar and, in fact, looks more like a piece of jewelry than anything else. So, if you do have a princess or a queen on your hands, then this is the perfect accessory for them. Another benefit is that this collar is incredibly comfortable as well. It is actually made from velvet and so, it sits gently against your cat’s skin. Even the fussiest feline will not be able to complain about this collar. It is also a good choice if you are trying to get an adult cat used to wearing a collar. The cat collar is suitable for most kitties as well, regardless of how old they may be or the thickness of their necks. Even if your kitty is on the fluffier side, this collar should be a good fit. It can be adjusted from 8 to 11 inches without any problem at all. One of the biggest issues with this is the collar that the bell is incredibly loud. If your cat spends most of his or her time outdoors, it should be fine. However, if they are indoors all day, this may get annoying rather quickly. 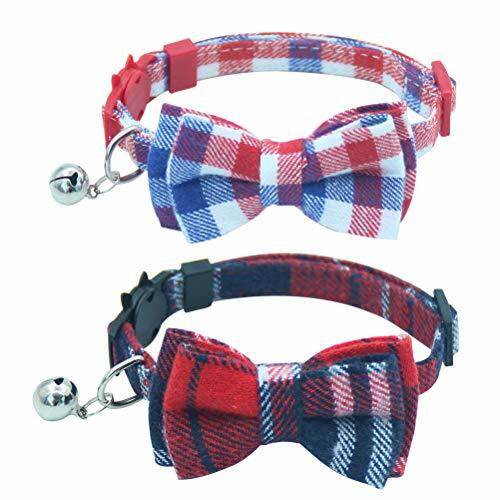 If you have a cat that likes to spend most of his or her day outside, then this is sure to be the perfect collar for them. Made from polyester, this collar is incredibly tough, ensuring that it will not tear or fray in any way. 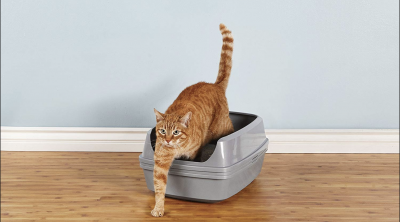 It will definitely hold up well to all of your kitty’s adventures. Despite being made from tough material, the collar is actually quite soft and gentle against your kitty’s skin. There is no need to worry about it being abrasive or uncomfortable. In fact, your cat will probably not even notice it all that much. There is also the fact that this cat collar has a breakaway feature. As such, it is a lot safer for an outdoor cat to use as well. Even if your cat should get stuck in a fence or something else, he or she should be able to tug themselves free. There is also the fact that these colors are nice and bright, making sure to stand out, even at a distance. It should be noted, though, that this collar is best suited to adult or bigger cats. It can be adjusted from 9 to 13 inches. Due to this, you may find that it isn’t all that suitable for kittens or cats with smaller necks. While these collars may be simple, there is no denying that there are incredibly sophisticated as well. So, if you want your kitty to look as stylish as possible, this is certainly the collar for them. The collar is also available in a variety of colors, making it easy to select one that complements your cats’ fur beautifully. These don’t just look good, though, they are also rather high quality. They are made from leather that is made to withstand harsh conditions without wearing down or getting damaged. At the same time, the leather is also quite soft and will be quite gentle against your kitty’s neck. If you have a little escape artist on your hands, then you may find that this is a good collar for your cat. It is secured around your cat’s neck with an alloy D-ring and buckle. So, it is unlikely that your cat will be able to wriggle out of it. There’s no need to worry about any pain, though, as the ring is covered by the leather. Now, these collars do come in all sizes. The benefit here is that while they are available from 8 to 22 inches, they come in smaller ranges. This makes it a lot easier to find the perfect fit for your kitty. The only issue is that the collar is a little wide for smaller cats. Do you often find your cat rolling around in the dirt or getting into impossible places? If so, then this the best collar to withstand all of these adventures. This is because the collar is made from strong and hardy ripstop nylon. As such, your kitty is going to find incredibly difficult to damage. Another perk is that the collar is made to be a breakaway option as well. This makes it all the more suitable for an outdoor cat. If he or she ever happens to get tangled up in it, you can be certain that they will still be able to get home without any problem at all. 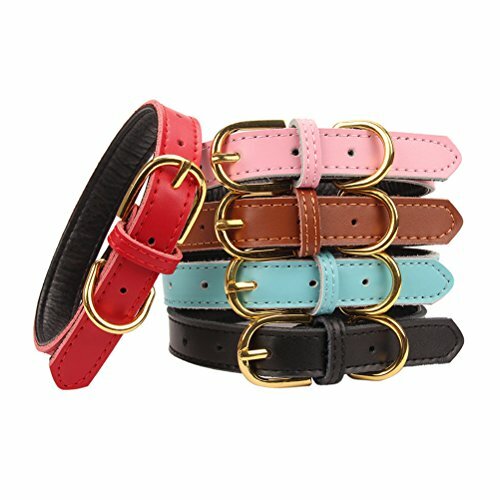 The collar is an adjustable one and as such, can be adjusted from around 8 inches to 12 inches. Thanks to this, you will find that it is suitable for most kitties. Kittens, older cats, slim cats, and large ones will all find that this collar suits them well. The collar is made from a light color and so, most people will be able to notice it almost immediately. Now, it should glow in the dark as well. 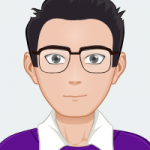 Unfortunately, this feature isn’t that great and the collar doesn’t glow too much. 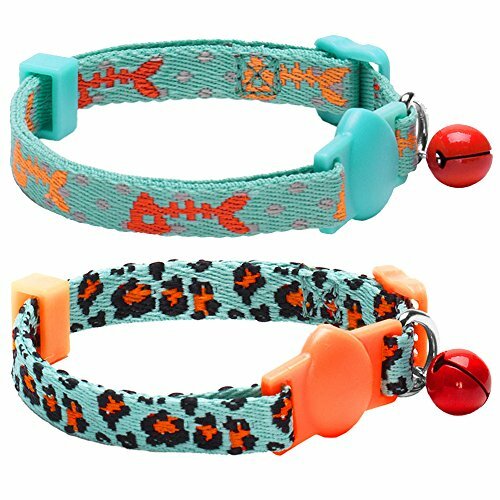 All of the cat collars here are excellent for your kitty but there are two that really stand out. 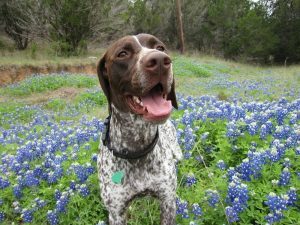 If you want a collar for your outdoor cat, then you will find that the Blueberry Pet collar is your best option. It is durable and has a breakaway feature that makes it safe for them. For an indoor kitty, though, the AOLOVE may be better. It looks good and offers up excellent sizing as well. These are the top things that you need to know about cat collars and how to find the best one. 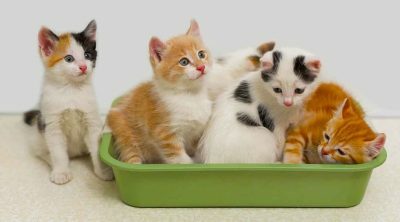 Now, you should have no trouble at all, finding the most suitable one for your kitty.